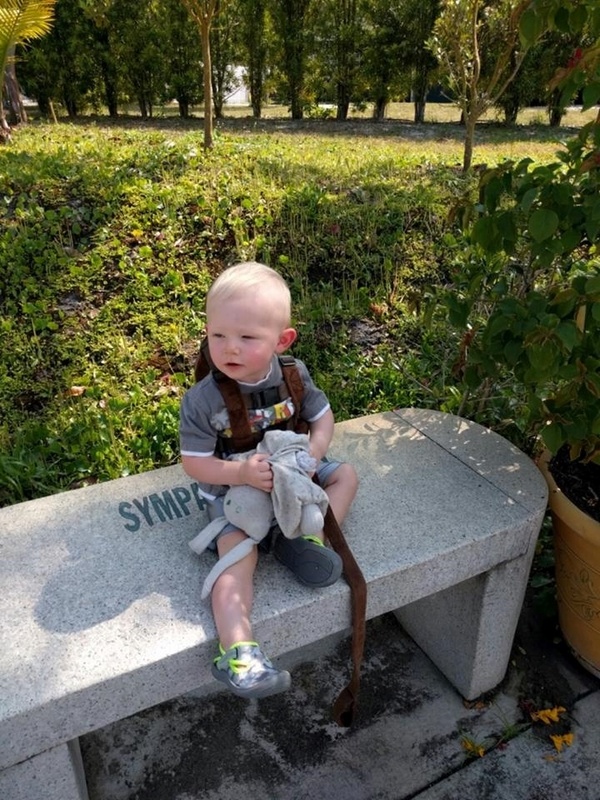 This is Samuel (Sam) sitting on one of the many benches while visiting the Buddhist Temple in Florida. He is of coarse to me the most awesome little dude in the world. He is holding his bunny which he calls Honey Bunny. It is a cloth bunny that all four of my other sons had when they were babies & that was 29 years ago that my son Zak had this little bunny. I don't think the bunny will have any future after this round, as you will rarely see a photo of Sam that it is not present. What a doll baby. We love you so much Sam.